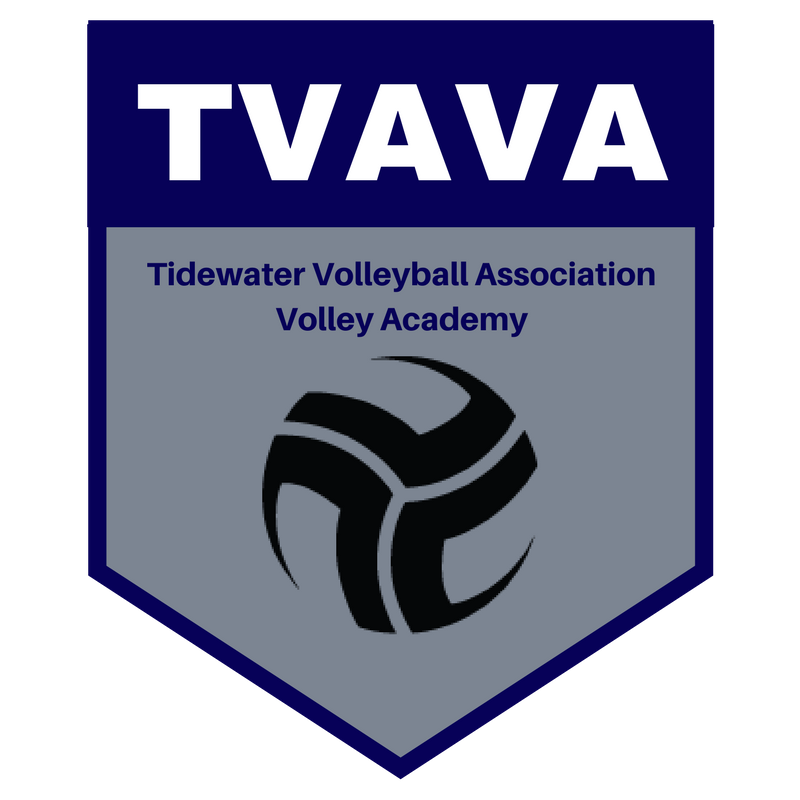 The Tidewater Volleyball Association is proud to announce the creation of the Volley Academy. The TVAVA is a program that built on teaching players the fundamentals of the game starting at the age of four and graduating their players once they reach high school. This program is designed to allow players to progress through multiple levels of development including clinics, leagues, joining the TVA club team. The focus of the Volley Academy is to ensure that the players first love the game. This is done by teaching the fundamentals and providing an atmosphere that is conducive to growth. Read more below to find out where to get your child started today! Participants of the TVAVA are placed in one of three different stages based on their grade in school. Additionally there are three levels of participation for our athletes. See the table below to find out where your child will begin. Use this as a starting point to register for any camps, clinics or leagues. Upon completion of Stage 2, athletes are invited to participate in our Middle School Program; which includes clinics, leagues and our very own TVA travel team program. This program is designed for beginner and intermediate players but also offers opportunities for advanced players through specialty camps and clinics. TVA host a large variety of camps and clinics for children of all ages and skill levels. These programs are designed to teach a broad range of fundamental skills. Additionally we offer skill specific programs to help athletes that need additional help with one or two skills. Camps are typically day long events over the course of two to five days. Clinics are held in the evening once a week for one to two hours over the course of several weeks. Use the following links to find out what camps or clinics are available for your child today. Players come in and practice with the TVA Staff and learn the fundamentals of the game. They will compete weekly in matches and match-like settings. During week six, participants will compete in a season end tournament. Click here for more information. If you have any questions feel free to contact our youth director, Dexter, at dexterp@playtva.org. The purpose of the High School Prep League (HSPL) is to give high school athletes an opportunity to compete and work on gaining new skills before the start of their high school season. This league is designed to couple instruction with competitive gameplay. Athletes are given thirty minutes of instruction and then compete in two two-set matches over the course of an hour and a half. Players meet twice a week for five weeks in preparation for the upcoming season. All area high school students are welcome to participate. Click here for more information. TVA is the only provider of Indoor Beach Volleyball in the Tidewater area. Before we took the outdoor game indoors we were one of the regions largest promoters of the beach game. TVA provides beach leagues for children ages 11 and up. These leagues offer an opportunity for children to go out and play in a structured environment. Click the link below for more information.